There are many reasons that Sault Ste. Marie should be your destination for filming. Here are some of those reasons. Pronouced like Sioux or Soo. 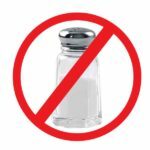 NOT SALT. Sault Ste. Marie is the heart of the great lakes. 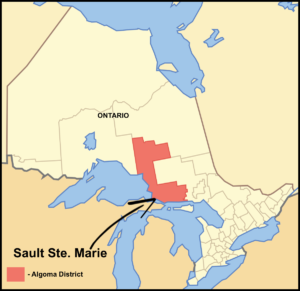 We are a Canadian/USA border city with Sault Sainte Marie Michigan. We have three native reserves surrounding our city. Rankin, Garden River, and Batchawana. We have a vast amount of mature forest. It has been said that the forest and land north of the city could easily pass as the foothills of British Columbia. Many farms can be located around our city and through the Algoma region. Sault Ste. Marie, Ontario has 1 airport which has flights daily via Porter, AirCanada, and Bearskin Airlines. We are also only a 30 minute drive from the Sault Ste. Marie, Michigan Airport (Chippewa County International Airport) which has daily flights via Delta Airlines. Sault College has a dedicated film Program and Production office. The program is a 2 year diploma program in Digital Film Production. The production space is a 1,350sqft building. Sault College has played host to 4 film production offices, and Multiple films have used Sault College and Property as film sets. Many of the students have interned and worked on feature film productions that have been shot in Sault Ste. Marie and surrounding area. Our city is known to be film friendly. We have a large number of crew here in the Sault. We have amazing locations crew, art department crew (including props, set dec, carpenters), office crew, producers, sound department crew, postproduction, camera crew, transportation, hair, makeup and wardrobe crew as well. We have amazing caterers and craft servers. Sault Ste. Marie has been host to some amazing films. Remember, Mean Dreams, and Foxfire have all received some great attention from Cannes Film Festival and Tiff. Our winters can be cold but we have some of the most beautiful scenery around. "Vikings" shot parts for 2 episodes here back in 2015. Sault Ste. Marie is known for its fall foliage. People come from all over the world to see the changing of the leaves which is usually in its peak the first two weeks of October. We have a number of hotels that are film friendly. Please see our lodging section of the website. Superior EMS has performed the duties of set medics for many productions. However they have branched out their services to incorporate props and realism consulting they are also providing services which involves the use of real paramedics, nurses, and fire rescue personnel as actors, and use of equipment as props. Edge Enterprises which is based in Sault Ste. Marie, offers production services, development services, producing services, and location scouting services and much more. On Cue Casting is our local casting group. See more in Casting page.